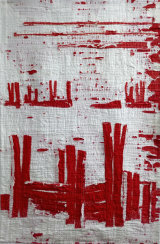 Art textiles inspired by the natural world, a sense of place and fragile eroding surfaces and structures. 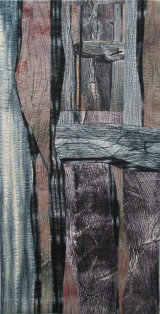 My principal focus is on painterly quilts using repurposed textiles, indigo, paint and stitch. Following redundancy after working for 25 years as a botanist and relocating to Faversham, I am currently developing a series made in response to explorations of the North Kent coast, new environments and circumstances.